SYNOPSIS: A very British style comedy that spoofs the popular Spy film genre. 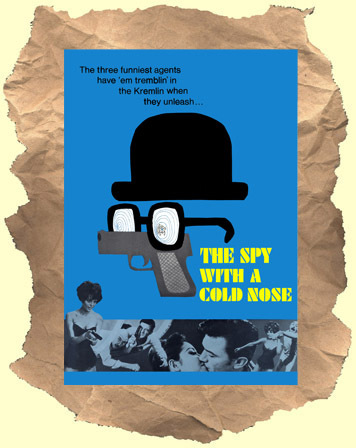 Funnyman Lionel Jeffries stars as a low level intelligence agent who is stuck in a dull family life with a wife and kids. He dreams about being more like a dashing James Bond type agent. Luckily, he comes up with the brilliant plan to put a surveillance device into a British bulldog (the cold nose of the title). The secret agent pooch is then given to the Russian premiere as a gift and soon the Brits are finding out all sorts of info! Dramatic actor Lawrence Harvey gives a surprising comedic performance as a charming vet who helps Jeffries with his scheme.